We are making it easier for you to enjoy the lifestyle at The Waters! Whether you’re taking a sunset ride around the lake, heading to dinner at Town Square, or carting the kids to school via the Trail to Education, your new move-in ready home now comes with a golf cart. 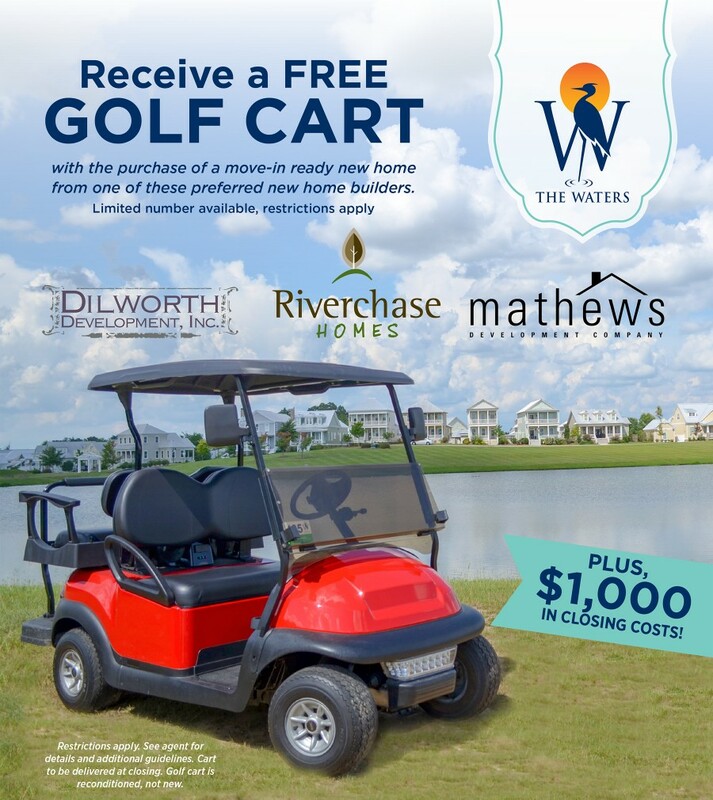 Receive a FREE Golf Cart with the purchase of a move-in ready new home from Riverchase Homes, Mathews Development or Dilworth Development! Contact an agent for more information.